Here are the 99 principles that have made Procter & Gamble the dominant marketing powerhouse, a collection of business know-how which come directly from inside the walls of P & G. The text presents marketing, career development and business management principles in bite-sized "lessons". Procter & Gamble is one of the most successful and admired companies today. A $30 billion global empire, it is one of the bluest of the blue chip companies on Wall Street, and boasts the biggest advertising budget ($3.2 billion in 1997). 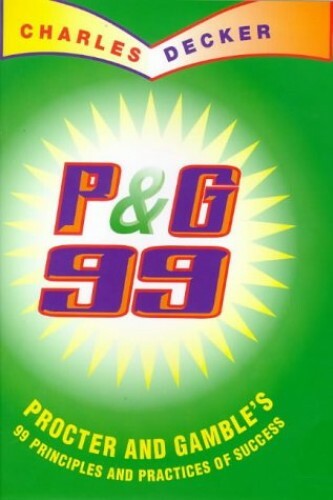 Here are the 99 principles that have made Procter & Gamble the dominant marketing powerhouse, a collection of business know-how which come directly from inside the walls of P & G. This text presents marketing, career development and business management principles in bite-sized "lessons" that include illustrative examples and interesting anecdotes from personal experiences of current and former employees.